Storage tank fire extinguishing by FoamFatale - FoamFatale Int'l. Ltd. The highest level of protecting the environment is provided by successful prevention. The primary environmental effect is caused by the fire itself. In addition to the value of the material destroyed by the fire, the environment as such, our common treasure, also suffers. In the majority of cases the combustion products are highly damaging to our health. By burning fossil fuels the composition of the atmosphere changes, since carbon stored for millions of years in solid or liquid form is again released into the atmosphere in the form of carbon dioxide gas. And since uncontrolled fires always result in incomplete combustion all kind of by-products are also released into the atmosphere. 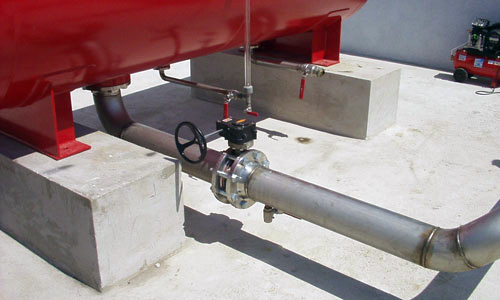 The secondary environmental effect of the storage tank fire extinguishing is caused by the use of extinguishing materials. The use of very large quantities of firewater can cause environmental damage when the, always, polluted water use cannot be properly collected afterwards and subsequently treated before it is released into the environment. The use of artificial extinguishing materials always causes environmental pollution. The level of pollution, i.e. the secondary environmental effect depends largely on the quality of the extinguishing material used and on the application technology, because these two factors define the quantity of the material necessary to extinguish a given fire. And depending on the degree and speed of natural decomposition of the used extinguishing materials into harmless components the period the environment is under strain is determined. We call a storage tank fire extinguishing technology “environmentally friendly”when it uses only natural extinguishing materials (water and gases, like nitrogen or argon, which are extracted from air). 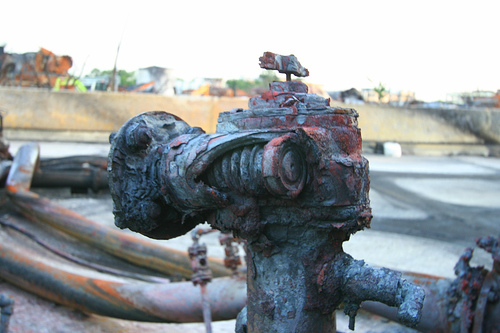 Setting up and managing proper storage tank fire extinguishing facilities on hydrocarbon storage facilities operating under extreme conditions nearly always requires a non-traditional approach. The traditional method is not suitable when there are no firewater sources available. 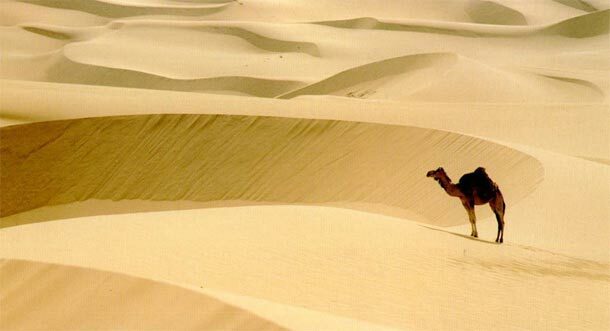 Examples are sites operating a substantial part of the year under very low ambient temperatures, but also storage sites in arid desert areas. Other examples are mobile military fuel storage facilities, which have no access to a high performance firewater network. In some cases the owner has no choice but to opt for operating without any fire protection whatsoever. 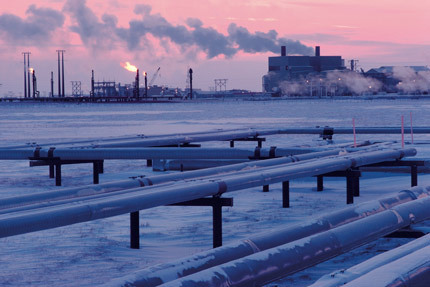 In very low temperature situations it would be prohibitively expensive to build, maintain and operate firewater networks with heated reservoirs and pipelines. 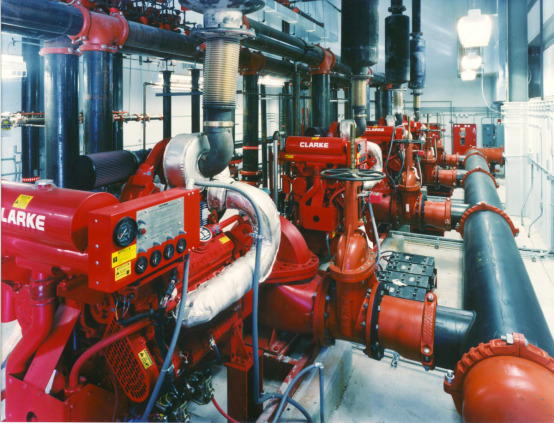 Such facilities are typically required when using the traditional fire protection methods as recommended by e.g. NFPA. 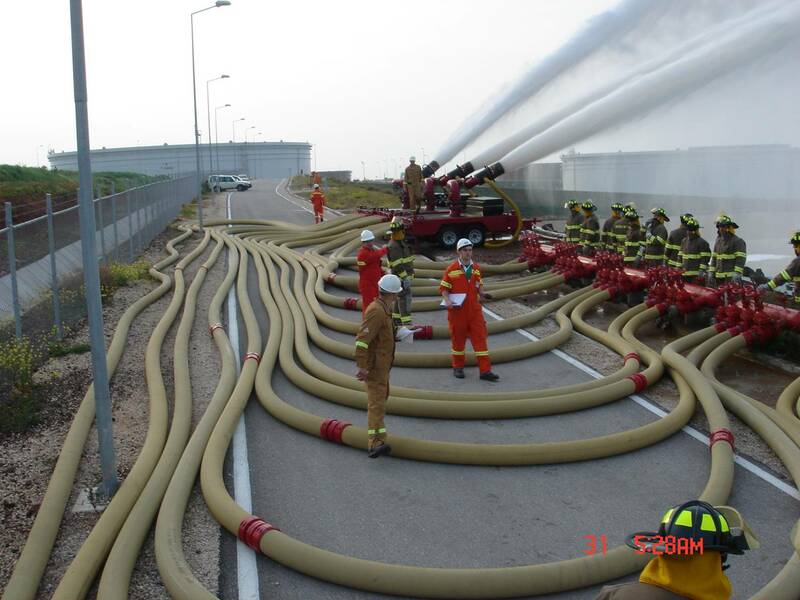 The conventional strategies apply foam with mobile, semi-fixed and fixed equipment. The foam concentrate has to be proportioned into the water. The operating range of the proportioning equipment is always limited. The range giving an acceptable deviation from the set point is even more limited. The response of the proportioner to quick flow variations is, generally speaking, not very good. Proportioning systems range from very simple and not very reliable systems to electronically controlled sophisticated and complicated, but therefore also vulnerable, devices. To make expanded foam it is necessary to entrain air into the foam solution stream. 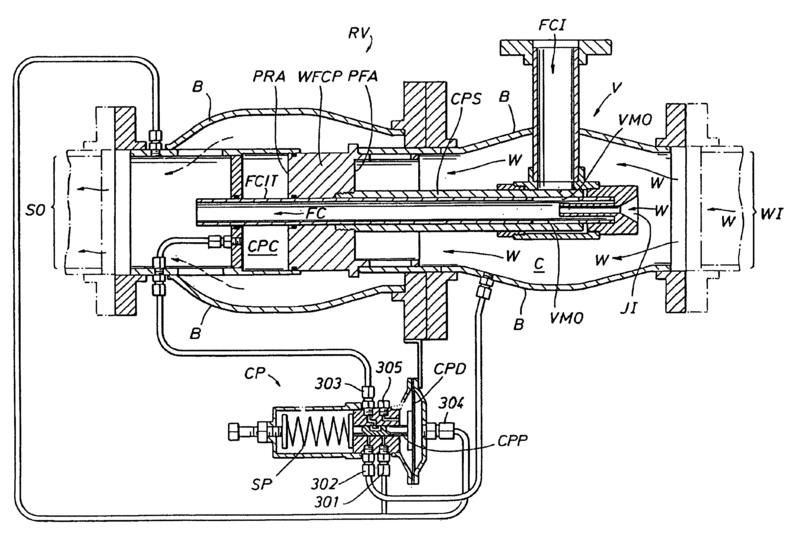 Venturi-type aspirating devices are typically used for this purpose. Proper functioning of such a device is determined by the delicate balance between flow rate, upstream pressure and backpressure. Optimum performance can only be achieved in a rather narrow operating range. Blockage, or partial blockage, of the small-bore air inlet often occurs in fixed systems in locations where maintenance is not optimal. This results in malfunctioning. In conventional storage tank fire extinguishing foam systems (including the CAFS too) the availability of firewater is essential. A number of steps are required to convert foam concentrate, water and air into expanded foam. The expanded foam can subsequently be applied onto the burning surface. In the majority of cases these activities take place close to the scene of the fire. Quite a team of trained manpower is required to set up these relatively complicated systems. In view of the stressful situation during any fire, mistakes are likely to be made resulting in mal-performance of the system. Unmanned storage sites cannot count on turnout of sufficient fire-fighters within a reasonable period of time. Over the past decades, the user had no choice but to accept these complicated and expensive systems. Sites that had no access to adequate water were left without protection. The owners/management, the Fire Administration and the Environment Protection Authorities had no choice but to accept the situation. Completely new foam-making and foam application method was developed, which fully solves the firewater-related problems described above. 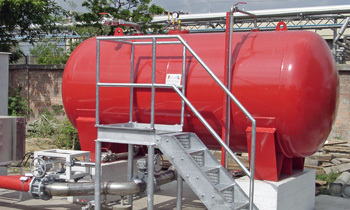 The automatic and autonomous storage tank fire extinguishing system responds immediately after the ignition, and does not require any external supply of water or energy to operate. It is considered to be representative of the Best Available Technology (BAT) today. The fire surface is totally covered by the absolutely closed foam blanket in maximum two minutes from the ignition, thus there is no time for the development of environmentally dangerous smoke or soot, and a major part of the stored material is also saved. One of the advantages of the Self Expanding Foam concept is that it has no release rate limitations. By combining the SEF®method with the newly developed high capacity CLN, it is easy to achieve the application rates of 20-40 litres/minute/square meter. This can fulfill the requirements of the Dinamic Tactical Rules. The method eliminates the limitations of the old-fashioned systems. The concept of this new system is that perfectly prepared foam is stored under pressure in a vessel. 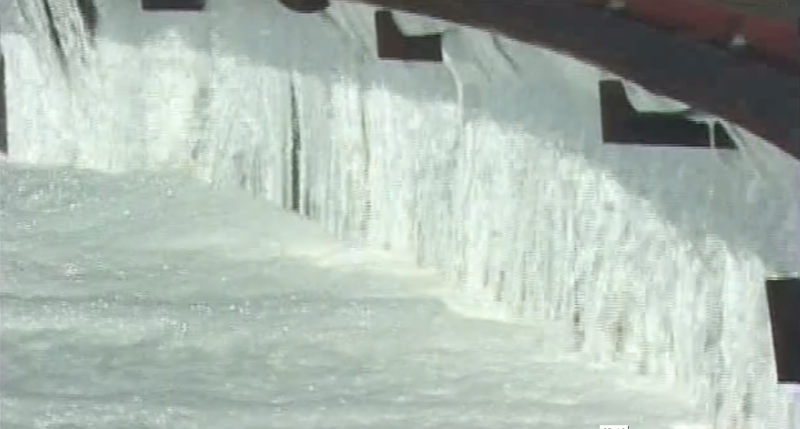 On release of the foam from the vessel, expanded foam is formed at the location where the expansion takes place. The patented system is called “Self-Expanding Foam” system, abbreviated as SEF®. The maximum size of vessels on vehicles is determined by size and weight. The limiting factor is most probably the maximum allowable dimension of the vehicle as well as the maximum allowable axle load for the road system to be used. A test tank was built by TFEX Engineering Co. Ltd. The tank was used for experiments with flow rates and types of nozzles ultimately resulting in the current mature system. Live tests on this 500 m2 gasoline fire repeatedly demonstrated that after 40 seconds, the fire went out so abruptly as if it had been cut off. 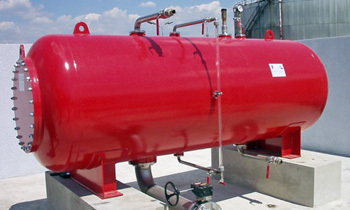 An automatic version of such a storage tank fire extinguishing system will extinguish very large tank fires such as this within one to three minutes from the moment of ignition, without intervention from any person. Please, have a look at the video recording of this test!